You hate dusting messy and dirty bookshelves? Then this wallpaper bookshelf is ideal for you. It has a vintage library look with amazing details of old books, that is for sure eye catching. 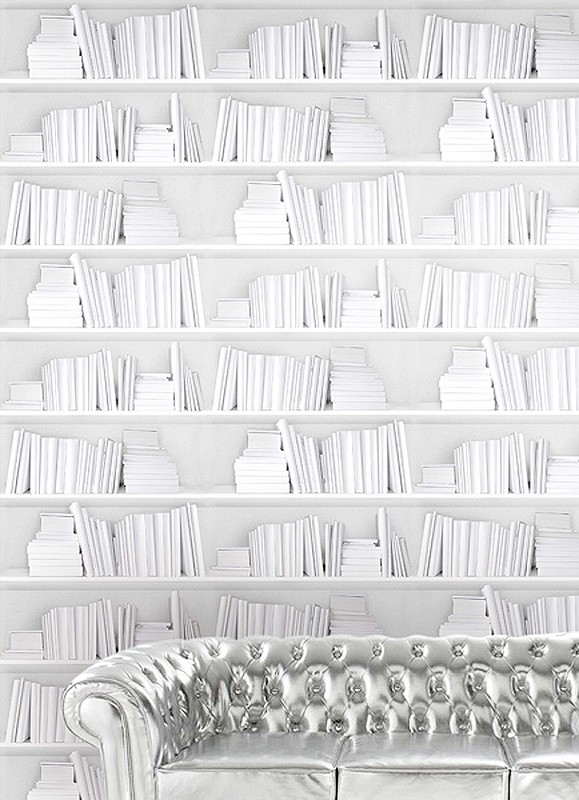 The repeat pattern for the White Bookshelf Wallpaper is 66cm. The rolls are 50cm wide x 250cm long.